Polio is a disease caused by a virus. It enters the body through the mouth. The virus usually spreads through feces. It also spreads via oral route due to bad hygienic habits. Contaminated water, food or unhealthy environmental conditions add in spread. Usually it does not cause serious illness. But sometimes it causes paralysis (can’t move arm or leg), and it can cause meningitis (irritation of the lining of the brain). It can kill people who get it, usually by paralyzing the muscles that help them breathe. What travel restrictions have been placed on Pakistani nationals? What types of vaccinations are available? How do you if you are experiencing negative side effects from the vaccination? Climate/ Environment: More common in hot summer or early autumn. 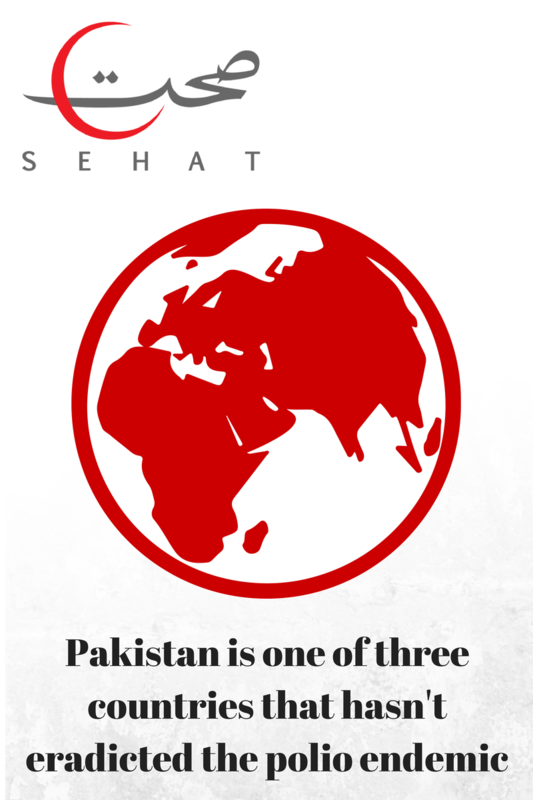 According to the recent report of WHO, Unfortunately Pakistan is one of only three countries where the Poliovirus is endemic. The other two countries are Nigeria and Afghanistan. “Once a State has met the criteria to be assessed as no longer exporting wild poliovirus, it should continue to be considered as an infected State until such time as it has met the criteria to be removed from that category,” added the WHO statement. Polio has been eliminated from the United States. But the disease is still common in some parts of the world including Pakistan. 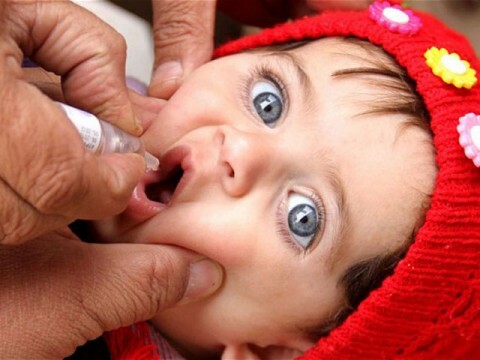 World Health Organization has declared Polio as “Public Health Emergency” with Pakistan Syria and Cameroon as posing the risk of exportation of virus beyond their borders. It would only take one person infected with polio virus coming from victim country to spread the disease if we are not protected by vaccine. If the effort to eliminate the disease from the world is successful, some day we won’t need polio vaccine. Until then, we need to keep getting ourselves and our children vaccinated. As of now Pakistan is under travel restriction, it is the responsibility of every citizen to ensure that his/her family, including him/her have been vaccinated in the past or before traveling to another country. Government of Pakistan is putting laborious efforts to fight the virus and eradicate this disease and we will, in our capacity, provide all the services to make this campaign a success. All travelers proceeding abroad must be vaccinated for polio. All DHO’s Teaching Hospital MS and other tertiary hospital will provide facility. An international certificate of Vaccination prophylaxis as per IHR (05) will be issued after vaccination (At airport only). Government of Pakistan has declared Public Health Emergency in the country. All the DHQ, THQ, BHU, RHC and Teaching Hospitals have been directed to provide the facility of vaccination and certification for every citizen. You can go to your nearest place to get yourself vaccinated. These hospitals will also issue vaccine administration certification to those who intend to travel abroad. You may also call up Punjab Health Center to get information of the nearest Vaccine center in your area. Which Vaccine You will be given for vaccination? Injection of Polio Vaccine: You may also get vaccine in the form of injection. IPV (Inactivated Polio Virus Vaccine) is a shot, given in the leg or arm, depending on age. Some people who get IPV get a sore spot where the shot was given. IPV has not been known to cause serious problems, and most people don’t have any problems at all with it. However, any medicine could cause a serious side effect, such as a severe allergic reaction or even death. The risk of polio vaccine causing serious harm is extremely small. OPV (Oral Polio Drops) remains the vaccine of choice for mass vaccination to control polio outbreaks. c) Beneficial secondary spread (intestinal shedding) of vaccine virus, which improves overall protection in the community. OPV can protect more persons who are susceptible in a population, making it the preferred vaccine for rapid intervention during an outbreak. If you think it is a severe allergic reaction or other emergency that can’t wait, call 1122 or get the person to the nearest hospital. Otherwise, call your doctor. For reference, please see the circular below.